The term blood libel is generally used to mean the false accusation that Jews murder Christian children to use their blood in religious rituals, in particular the baking of matzos for passover. That false claim was circulated for centuries to incite anti-Semitism and justify violent pogroms against Jews. Ms. Palin’s use of the phrase in her video, which helped make the video rapidly go viral, is attracting criticism, not least because Ms. Giffords, who remains in critical condition in a Tucson hospital, is Jewish. Read the full Caucus blog here. 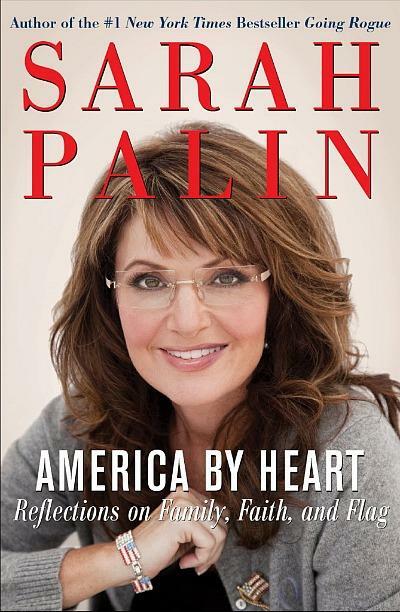 On November 23, Slate journalist Jessica Grouse wrote a scathing review about Sarah Palin’s new book America by Heart: Reflections on Family, Faith, and Flag that had me seething in anger and frustration. I haven’t read the book, and truth be told, I seriously doubt I will. But I have found myself obsessed with reading anything and everything that examines Sarah Palin’s views of feminism and feminist history and discusses the afore mentioned chapter. I’m also obsessed with this whole BloggingHeads.tv phenomenon, so I did a quick search to see what the BloggingHeads were saying about Palin’s feminism and happened upon a series that’s really quite good. My favorite video features Michelle Goldberg and Rebecca Traister. You can watch that video called “Why Sarah Palin calls herself a feminist” on BloggingHeads.tv. You can watch part two of that discussion here. Liesl Schillinger’s review of Big Girls Don’t Cry in Sunday’s NY Times is yet another example of the attention this book have received in recent weeks from various media outlets. I suspect that much of this interest may be due to its somewhat provocative subtitle: The Election That Changed Everything For American Women. Traister uses the 2008 election, and its run-up, as a back-drop for an analysis of two influential (for better or worse) and often controversial women: Hilary Clinton and Sarah Palin. Despite the subtitle Traister seems to conclude that, while much has changed or improved for women in the public/political sphere over the last several decades the tensions and anxieties that have always existed still remain, though they may be subtly disguised by “coded” speech.